Learn to make folded book art! Create images by folding the pages of used books following a pattern. 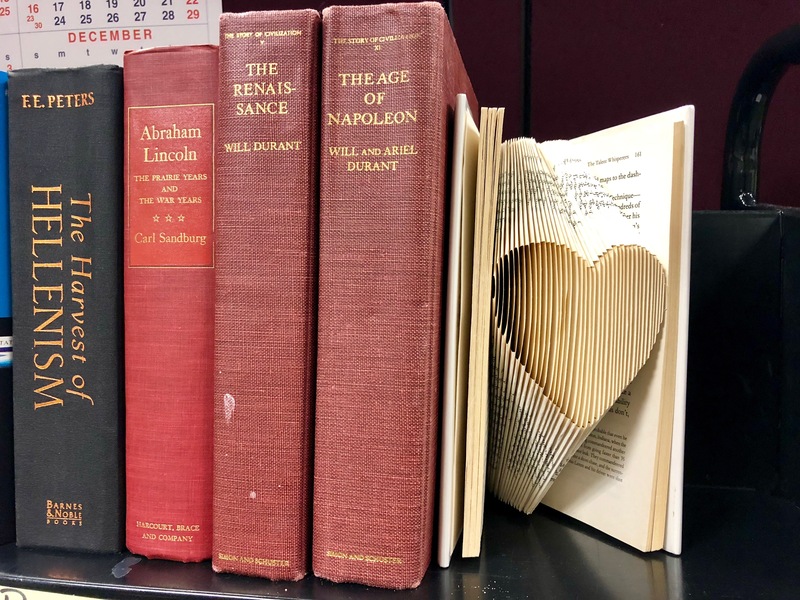 Make a memorable valentine for the book-lover in your life. We have limited materials for this event. There will be 18 spots open for reservation and a limited number of spots available for walk-ins. If you have a reservation and do not show up by 7:05pm, your spot may be given to a walk-in. We hope this policy allows us to bring as many carfters as possible into the fold (pun intended).